A very warm welcome from St Michael’s Church, Inveresk. We hope you enjoy exploring our website. Here, you can keep updated on what’s happening in our Parish Church, how you can participate in our many events and join us in regular worship. 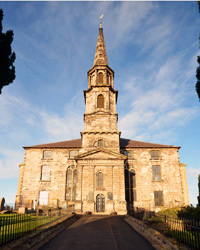 St Michael’s is a progressive Church with strong traditions tracing its history to the Celtic period and serving, for many generations, as the Parish Church for Musselburgh. We have tried to capture some of that in our History page. Our picture gallery provides a small snapshot of our church life as well as the church building itself and our historic stained glass. The Events page provides details of our main activities for the community and the special events and concerts which we host from time to time. Our Hall, in Dalrymple Loan, is also available to rent for functions. Details of this can be found via our Contacts page. St Michael’s (and its daughter church, St John’s) is here for everyone in the local community as well as occasional visitors. We aim to make everyone welcome and hope you can join us at service each Sunday morning. We are a Church of Scotland congregation in which leadership and pastoral care are provided by elders, who work in partnership with our Minister Rev. Malcolm Lyon, who was appointed on Wednesday 9th August 2017. We have Good News to share and would be delighted if you could join us in worshipping God and follow in the way of Jesus Christ. See our calendar for details. Help us preserve St Michael's for future generations by supporting our appeal.